The MCM market is one of the hottest technology areas where enterprises are starting to investigate, evaluate, and adopt solutions. It’s critical to understand your choices and how MCM is integrating with existing Enterprise Mobility Management solutions. 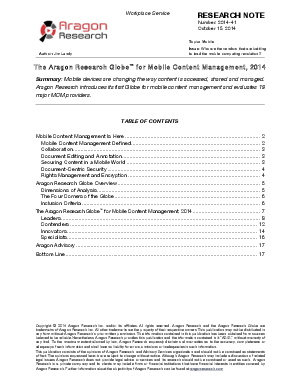 Access the report to learn about Aragon Research’s view on securing and enabling content in the mobile world. In addition, learn why IBM was named a Leader.